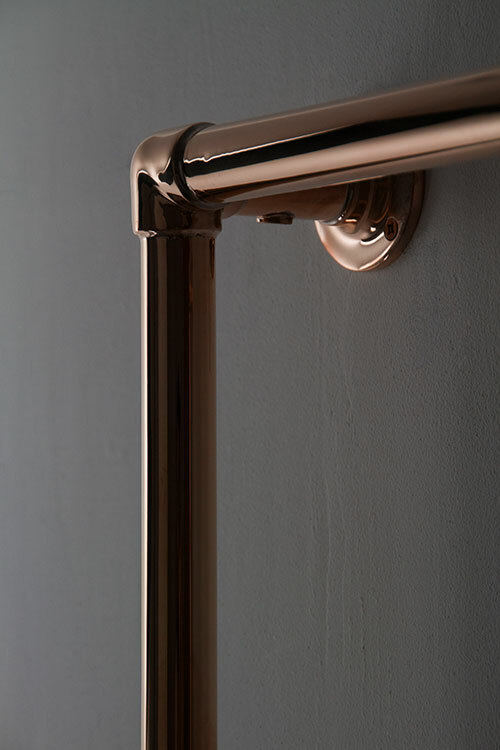 A luxury copper towel rail styled for traditional and contemporary bathrooms. 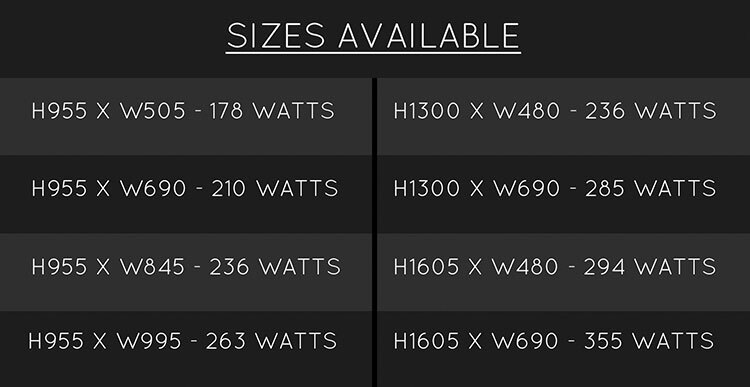 Each towel warmer has large evenly spaced towel hanging bars allowing the easy hanging of towels. 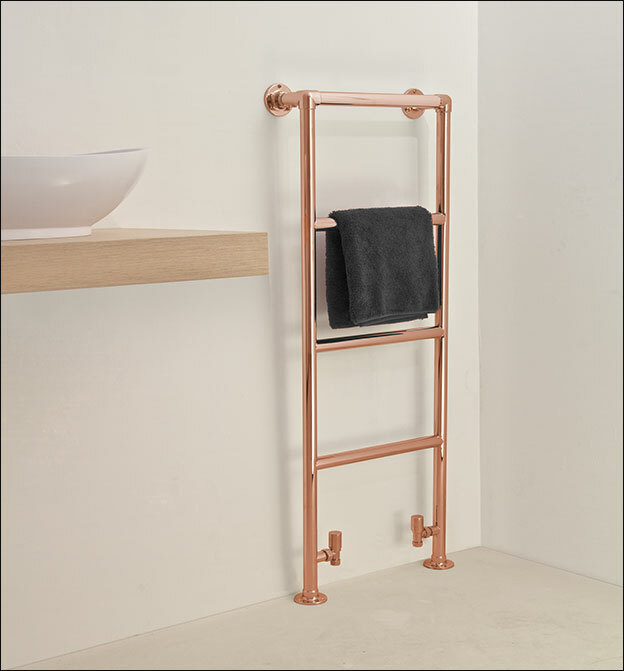 All of our copper towel radiators are made in Britain with a high quality copper plated finish. 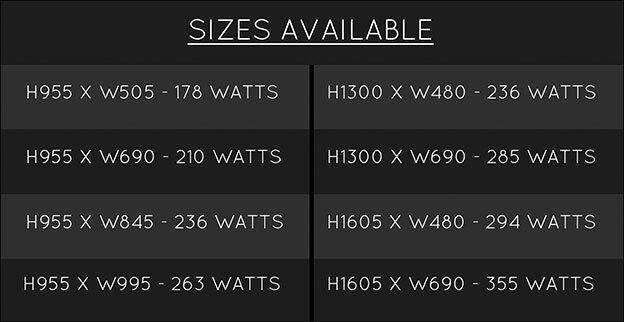 Supplied for central heated, dual fuel and electric systems, with the electric heating elements subtly hidden for tidiness. 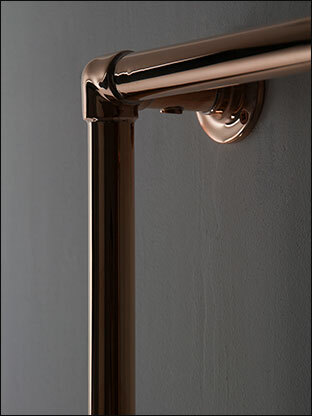 This towel rail is copper plated to special order. 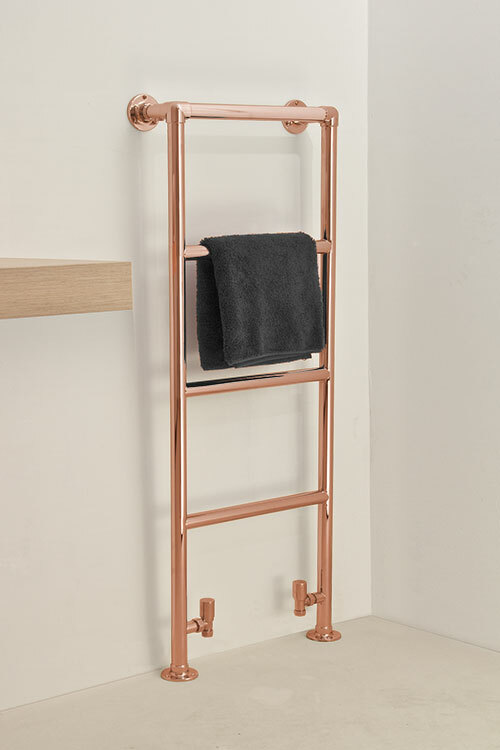 The High charterhouse heated towel rail is available in the finishes of chrome, nickel, gold, copper, matt black and brushed or polished brass. 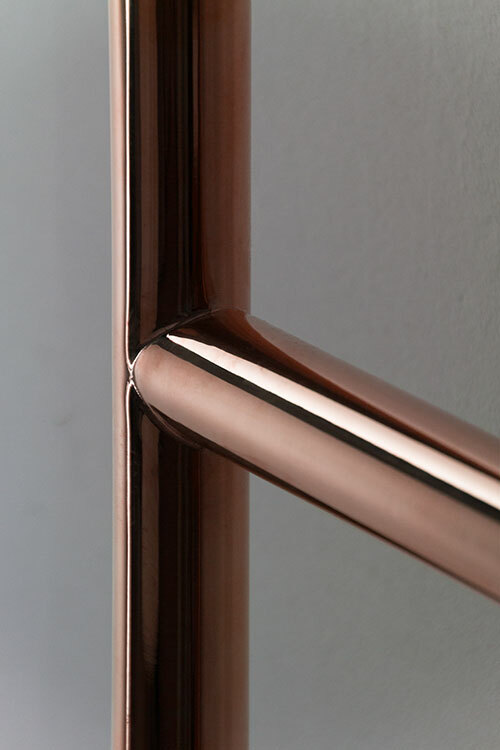 • Copper on brass finish. • Also dual fuel & electric. 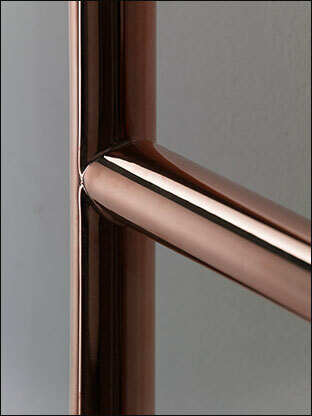 • Copper finish supplied to special order.